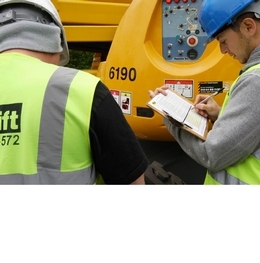 News: Book an IPAF operator course with Facelift and save! Book an IPAF operator course with Facelift and save! Now is the time to boost the skills of your workforce and help promote safety by booking your employees on an IPAF Operator course with Facelift. Until the end of May, we are offering a special discount that makes it the more the merrier when it comes to training. This means that if you book in four people for training, you could wipe a whopping £120 off your training bill. Designed to both increase an operator’s ability on a practical level and help them gain a greater insight into accident prevention, the Operators’ course covers accident analysis, MEWP categories and selection, operator daily inspection, safe operating awareness and hazard awareness. Learners are also put through their paces with a number of challenging practical exercises.